You will find below a summary of the key points to consider when choosing the best flat iron for fine hair. Fine hair is the exact opposite of thick hair. There is not only less of it in quantity, but each strand itself holds less volume and thickness. Therefore, fine hair is naturally more delicate and requires more care and attention so as not to damage it. You simply cannot yank a brush or heating products through it everyday and expect it to stay healthy. Still not sure just which hair straightener is right for you? The Bio Ionic one pass is a dream come true for fine-haired ladies. The phrase one pass is almost enough to tell you of the irons capabilities. Its plates are made up of ceramic which is known to be gentler on hair and a set of silicone speed strips. The ceramic plates give off negative ions which result in a smoother, glossier finish. One plate has silicon strips that act to increase how smoothly you pass through a portion of hair. The strips provide just enough tension so that you don’t have to go through your hair twice or more times. The iron heats to a maximum temperature of 400f.for those with finer hair you can adjust the heat to lower temperatures from 240f. The ceramic plates distribute heat evenly resulting in uniformly straightened hair. The knob on the handle makes this possible. You don’t have to worry about dropping this iron since it has grooved indentations on its handle for a slip-free grip. The nine-foot cord that rotates at 360 degrees makes styling at an angle pretty easy. It also makes it simpler to use the iron in other rooms rather than your bathroom. with keratin the very substance that your hair strands are made off. 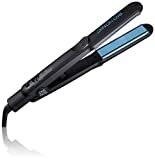 The titanium plates heat up quickly within 40 seconds .they can heat up to a maximum temperature of 450f .now just because the iron can achieve this temperature doesn’t mean that you should crank it up every time you straighten your hair. Remember that fine hair needs moderate amounts of heat so only use what is necessary. The iron weighs a meager 1.1 pounds; that means its light weight and with the 1-inch plates won’t hold down you tender locks. 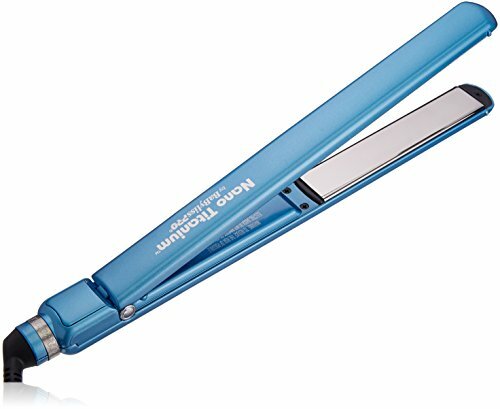 Titanium plates mean that the iron distributes heat evenly and will allow you to style your hair using fewer passes. The negative ions being emitted will make your hair look smoother and shinier. The far infrared energy will condition your hair healing it from the inside out and destroying bacteria. With a long 9-foot swivel cord, say goodbye to those tangles. If you have fine hair, you don’t want to use maximum heat on your head daily. Adjust your temperature settings to low heat for everyday use or end up thinning out your hair. At a light 1 pound weight, this flat iron wouldn’t weigh down your fine hair. The temperature can be adjusted to suit your hair type. At a minimum of 180f you can straighten even the most delicate hair .you can increase it to the maximum temperature of 410f. A wide range of temperature ensures you can use the same iron on different layers of hair. The temperature can be read on the LED display. The 1-inch plate size is great because it’s not too large to press down on fine hair. With dual voltage, you can use this flat iron even when you travel overseas without the fear of ruining it. The plates are made of tourmaline and ceramic which is a great combination since both materials have an even heat distribution. This means you make fewer passes on your hair, keeping it healthy by reducing heat damage. The plates emit negative ions and far infrared energy that releases water from your hair strands but locks in natural moisture making it shinier and smoother. Just remember to use the least amount of heat possible since fine hair lacks both volume and thickness. Less is more with fine hair! Follow us here. Avocado-infused plates. If you can’t believe it, you must try it. The natural conditioners including Vitamin E are slowly emitted as you straighten to seal in as much moisture as possible to reduce damage. These specially formulated plates are guaranteed to last 4 years, which means that you will get the truly unique moisture-boosting benefits well past the day you open it. The one-inch ceramic plates are the perfect size for anyone with fine hair. Even better, the heat which ranges from 300-430F comes with a temperature lock for precise heat styling on different layers. The flat iron also features dual voltage and auto shutoff. This flat iron is so thin and lightweight it’s like a feather. It will treat your fine hair just the way it’s meant to be treated – delicately and without pulling. It will just sweep through, strand by strand. The negative ions and max amount of far infrared heat of the one-inch nano titanium plates will reduce any possible damage and leave you with the most shine. But since titanium does reach that ultimate high level of 450F takes great care to only use this high setting for days you need a more professional look. Easily switch the temperature setting to lower for your day-to-day use. The plates are slightly longer at 5 inches so that you can do your daily styling in quicker, larger sections. The combination of titanium and ceramic always ensures even heating throughout each section. This translates to the least number of passes through your delicate hair. As mentioned previously, 450F is the highest setting and should only be used for your most professional-looking days, but the digital temperature display is so easy to change from low to high. Because fine hair doesn’t always mean short hair, the extra quarter inch width of the plates is excellent for ladies with fine hair that is a bit longer. The 9-foot swivel cord lets you plug in and go anywhere. 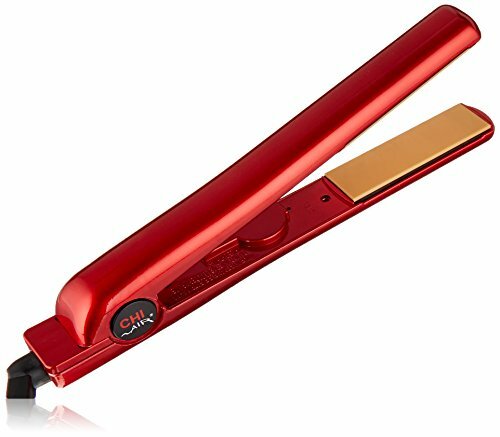 It’s one of the top rated flat irons and for good reason. Can you guess why the OnePass scores major points for time-saving hairstyling? Because it quite literally requires just that – one pass. Though the Bio Ionic OnePass is on the pricier side of hair straighteners, it is easy to see why it’s worth the extra money. How awesome is that, to only have to move a flat iron through your hair just once? Imagine all the time and damage you will spare yourself. 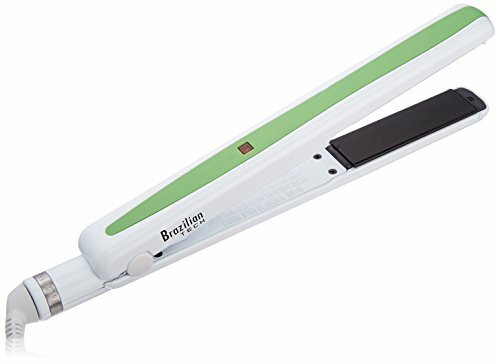 Hairstylists of the world, this hair straightener is perfect for you too. You can breeze from client to client, leaving everyone with that happy, healthy glow from the inside out. 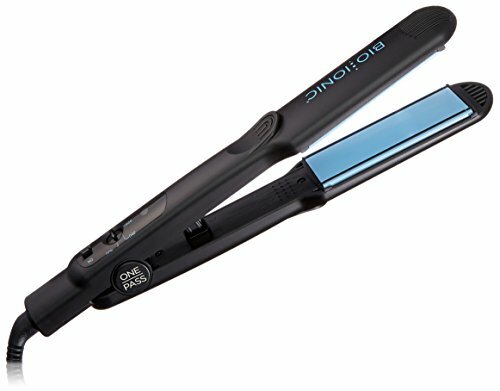 Bio Ionic OnePass flat iron takes traditional plates to a whole new level by infusing minerals into them and including a silicone “speed strip”. You can tell just by reading this that hair is left silky smooth and soft. Rather than collecting a whole bunch of cheaper tools, think of this as an investment in your hair and treating it well. The only downside to this hair straightener is the price. It might seem a bit expensive for some, but it is worth saving up for! It is surprising that so many people complain about fine hair and how hard it is to style. 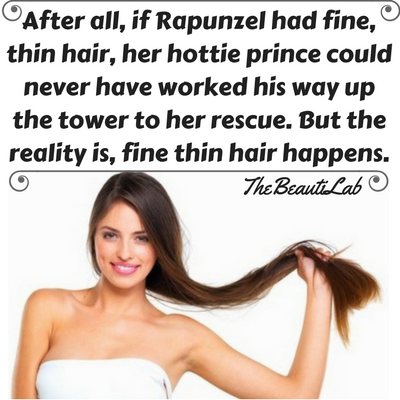 Actually, in reality, just the opposite is true, especially when it comes to using a flat iron to straighten it out. Fine hair is characterized as hair that is very small in diameter and therefore lacks firmness and rigidity. It only makes sense then that this type of hair in essence should be easier to reshape than hair that is thicker in diameter (be careful not to confuse hair density with hair diameter). The reason for this is it will have a much weaker hydrogen bond (what makes hair strands strong and rigid) than other types of hair will have. The high heat that flat irons produce is the quickest and easiest way to temporarily break down the hydrogen bonds in your hair so you have some time to straighten. As your hair cools the hydrogen bonds will reform in your hair in the straighter position so it lasts a while before going back. It’s the easiest type of hair to straighten even if it has some curl to it. Despite item number one, most people are over aggressive when straightening fine hair with a flat iron and tend to damage it when straightening it as a result. Now that you know these two things about straightening fine hair with a flat iron you should act accordingly and follow the advice we give you in this article when you go to straighten it. What we have learned so far is that straightening your fine hair with a flat iron should not be much of a problem for you at all. The problem lies in the fact that you have to be very careful not to damage your fine hair with a flat iron as you straighten it because of this hair type’s delicate nature. Once you damage your hair it becomes much harder to straighten and get looking nice no matter what hair type you have. This is even truer if you have fine hair. So when you choose a flat iron model to buy to straighten your fine hair, you must always keep in mind that you need to choose one that will cause the least amount of damage to your hair when straightening it. 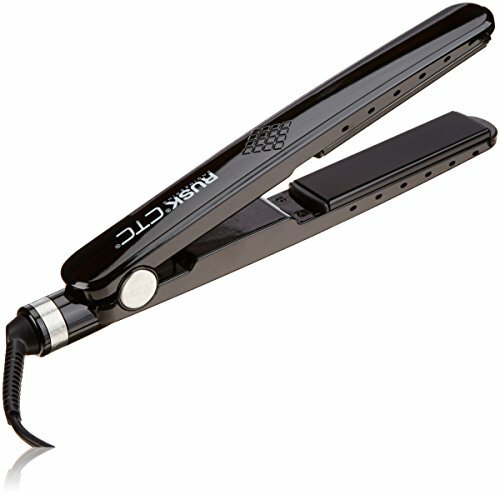 Flat irons that use ceramic heat plates are the easiest on fine hair. This is because they distribute the heat very evenly over your flat iron’s face. It’s ok to use a flat iron that has added tourmaline crystals too because these will help keep your fine hair from sticking on the face of your flat iron too long and getting burned. As an added bonus a ceramic heat plate will also help keep the price of your flat iron product down. That is because ceramic is the least expensive type of heating plates. It used to be that many flat iron products had no means on them to adjust the temperature. Believe me when I say the temperature that a flat iron is used at is definitely not a one size fits all deal. This is especially true with fine hair. Fine hair does not need a lot of heat to shape it. That is why you want a flat iron with adjustable heat settings. Most flat irons that are set up this way will go down under 200 degrees. You want to start low and work your way up in temperature to your desired setting. Be careful not to go over 300 degrees. This is another type of technology that will help protect your fine hair when you go to straighten it. 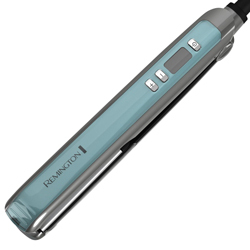 When negative ions are passed through your hair is you use your flat iron it has several benefits for it. The most important of which is it cuts down on your hairs natural resistance as you use the device and it also helps to prevent damaging conditions such as frizz and split ends. The best hair straightener for your thinner locks is one that is not too large. You don’t have a lot of ground to cover anyway, so something in the one-inch range (give or take) will always suffice. Just make sure to look for the right. With its even heat, ceramic is always the way to go. Titanium is also lightweight, which is great for the lack of weight in your hair. Titanium, however, can reach extremely high heat levels so take care with your hair. So an iron with variable heat settings is best. You can easily choose a lower setting for those most delicate pieces near your face. A single-setting flat iron is also a good idea so that you never accidentally choose a setting that is too high. Keep Your Hair Healthy While Straightening! We cannot stress the importance of prepping your hair properly. We’ll say it till we’re blue in the face! 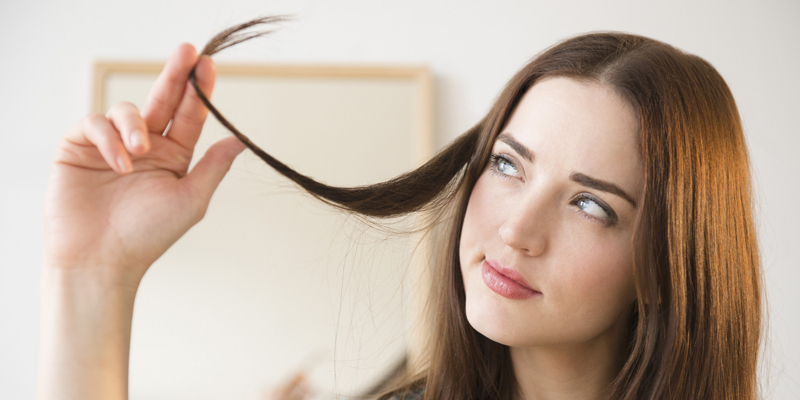 For thin hair, choose shampoos, conditioners, and styling products that will not weigh hair down. Try using a thickening shampoo and massage your roots to stimulate constant hair growth. Spray your wet hair with a heat protecting spray, especially the ends. Always dry your hair completely, and if you have a definite part to one side, make sure to brush your hair in your preferred direction before you style. With the top section of hair pulled up and away from your face, start straightening from underneath this way. Make slow, even passes with your flat iron, getting close to the root and slightly bending the iron inward at the ends. Part hair into smaller sections just above the ears and on the sides. Try not to make multiple passes through hair if you can help it, so as to prevent damage. Frame your face by ironing in the direction of your part, or flip the entire top section up and straighten from front to back, gently letting your hair fall and create its own natural part as you do (and create natural volume). Try not to get too close to the root on your top sections. This will leave a little volume, which fine hair can always use more of. Use a fine-tooth comb to tease a small amount at the top roots for an even bigger boost of volume. If you use any final sprays, lift large sections of hair and let them fall while you spray simultaneously so that product does not sit heavily on your hair. Whether you need the extra shine and moisture boost of the most conditioners available, an iron that will carry you through your beauty regimen day-to-day, or something with more heat settings to match your different layers, we’ve done all the research for you. Your hair looks like silk and should be treated like it! Try one of these straighteners, and you’re bound to see healthy shiny hair for years to come. You may not always be sure what the best flat iron for fine hair is, but do not fear anymore. All Rights Reserved. TheBeautiLab © is a participant in the Amazon Services LLC Associates Program, an affiliate advertising program designed to provide a means for sites to earn advertising fees by advertising and linking to amazon.com.